Dungeoneering is very dependent on other skills, with many different kinds of monsters and bosses. Having higher skill levels will make training this skill much easier. However, Dungeoneering is diverse and different methods can be used for efficient and fun training. High combat levels will kill monsters quicker, and high skill levels will allow for better equipment to be made/used, and also the ability to open more bonus doors for a greater overall xp rate in Dungeoneering. For example, you are able to create and wear all Fractite equipment only if you get 40 Attack, 40 Defence, 40 Mining, 40 Ranged, 45 Strength, 49 Smithing, 65 Runecrafting and 59 Magic. It is recommended to have balanced levels to gain experience at the maximum rate; however, a combat practitioner or pure can also play without much difficulty. The actual training of the skill will be different for everyone due to the randomised nature of the dungeons. Therefore, the following will focus on maximising Dungeoneering experience for every raid, rather than giving a step-by-step walkthrough typical of other skill guides. Here is a simplified guide for beginners who want to gain the first levels through Daemonheim. For advanced players please read the parts after. At level 1 Dungeoneering, only complexity 1 and floor 1 are available. It is strongly recommended to solo the first couple floors since players would refuse to group, as complexity 1 cuts all experience by half. You may begin the dungeon any time by entering the stairs leading to the dungeons. As soon as the dungeon starts, a reliable weapon and ammo MUST be bound. A melee weapon will simplify the process of clearing a raid quickly, since you will not need to worry about the ammo for ranged or magic attacks. However, ranged and magic weapons will better prepare you in the case that you wish to stick with your combat style, since finding higher tiered ranged or magic weapons will be harder to find than melee weapons in later dungeons. For ammo, runes or arrows can be bound. If a player binds runes, he/she should have basic Runecrafting levels in order to craft elemental runes, and bind the highest combat rune (air or fire depending on runecrafting level) available to him/her. If a player binds arrows the best available arrows should be bound. After finishing the first dungeon, one should get level 2. Reset the ring at level 2 and play floor 1 at complexity 2. That way floor 2 is unlocked and play floor 2 at complexity 3. If floor 3 is unlocked play it, otherwise reset and play floor 1 again at increasing complexity. At this rate, complexity 6 would be available when the player achieves level 6-8. By this time, you should look for parties to join. The experience gained in complexity 6 raids ease levelling. One resource dungeon is unlockable for every 5 levels after level 15, up to level 30. With this method, it is possible to get to level 32-36 without resetting. It is recommended to find the dungeon whenever the required level is achieved. It is also recommended to complete small dungeons in all frozen floors as prestige is low in the first raids, and time is saved, and a good party can possibly boost experience gained over time, though soloing can ensure stable progress too. Base XP includes the two numbers Floor X and Prestige Y (where X and Y are numbers (ie. Floor 1 and Prestige 15)). Those will be covered in more detail in the following sections. This section will discuss the general mechanics common to both. Base XP is essentially the amount of experience that you will be given upon completion of a floor; an average of both the floor number and the prestige number is taken, and then modified appropriately by the experience modifiers to give your overall experience value. Giving an average of 2000 experience with complexity level 6. The number of rooms opened on the floor - Opening more rooms will increase your base experience; It doesn't take into account the number of rooms opened that aren't required to reach the boss (bonus rooms), but how many rooms are opened overall. This is explained in more detail in the Bonus Rooms section. The complexity of the floor - Even though a lower complexity already gives you penalties in the modifier, it also lowers your Base XP. The boss faced on the floor. The types of puzzles encountered and completed. How many monsters were left alive (this only affects the Level Modification). How long the floor took to complete (though faster completion will ultimately lead to more xp per hour). How many deaths occurred (this only affects the Deaths Modifier). It is interesting to note that both Floor and Prestige appear to use almost exactly the same calculations, with the only difference between them being what decides the X/Y value used. If X and Y is the same for one particular run (i.e. doing Floor 32 with Prestige 32), then the base exp contribution from both Floor and Prestige will be the same. 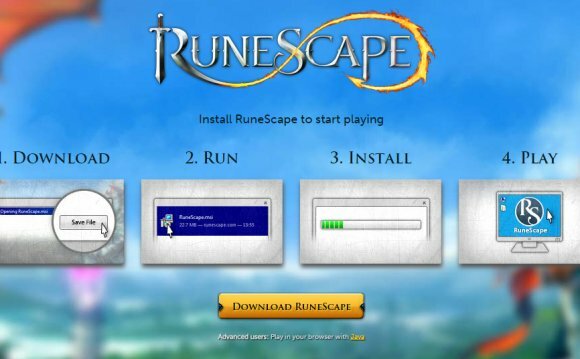 HI =] why do I play RUNESCAPE I CAN"T KILL NE1!